My Jeffrey boy turned 2 a few days ago! Being that we have a lot of family in town and that he was only turning 2, I didn’t plan on having too big of a party. 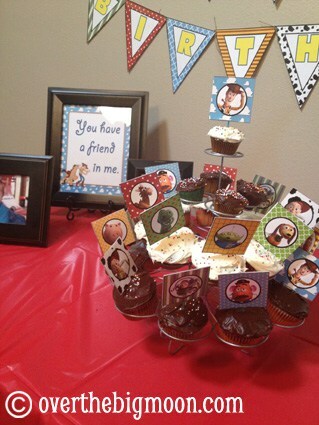 Lisa was nice enough to throw a few Toy Story Party Printables together for me! 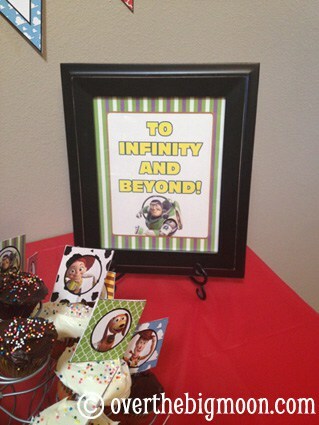 Jeffrey loves carrying his Woody and Buzz around all the time – so I figured why not theme his little party after them! 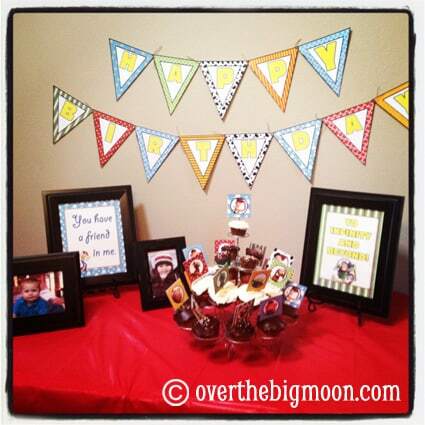 The party was definitely simple and small, but I thought the decorations turned out super cute! 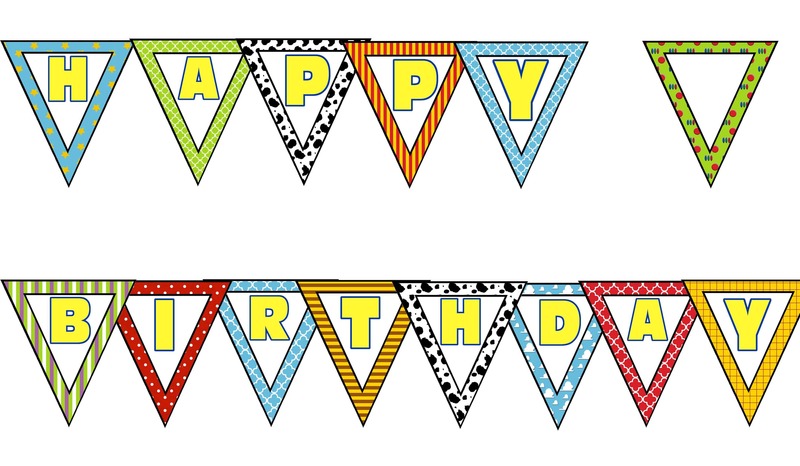 Below are the Bunting, Printables and Cupcake Toppers in JPG and PDF Format available to all you lovely people for FREE! Thank you so very much! I am very grateful. Everything is so cute! Thank you for sharing the printables! Thank you so much for sharing these! This is so awesome! Thank you for sharing these! I was wondering how I could downsize the cupcake toppers? I’ll be making mini cupcakes and these are too big. Thank you! Just have it print smaller. You can choose in print preview to make it a smaller percentage and that shrinks the image for you when printing. Thank you so much for sharing these! Using the cupcake toppers and bunting this weekend. Thanks so much for sharing these! 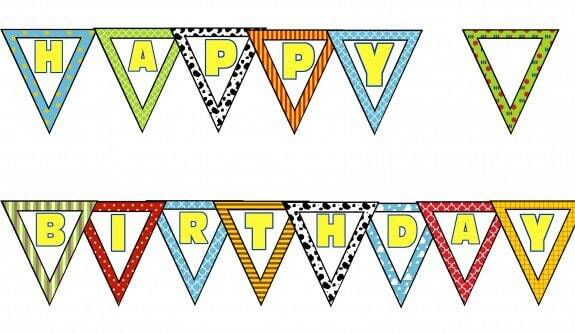 I’m wondering what font you used for the bunting though. I am trying to add in my son’s name on the blank one. I think it was Impact but I had stretched it and distorted it a little. It might have been bold too. Wish I could remember exactly! THANK YOU! 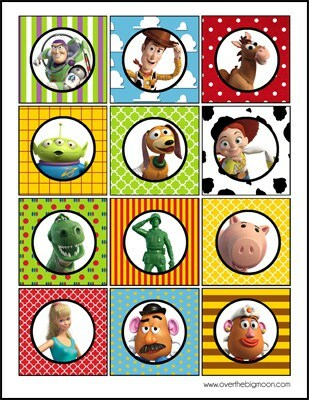 We are planning on having a Toy Story party in a few weeks. Living in Korea makes finding or ordering things stressful. SO happy to have found these. Thanks again!! 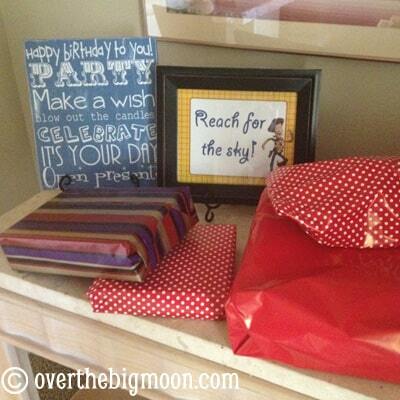 thank you so much for all these party favor ideas that are absolutely FREE! You both are awesome Pam & Lisa. How awfully kind of you. I just bought my cake toppers for my party the other week too. Off to find where I can follow you. So cute! Thanks for sharing. My kids love Toy Story.